Experience the enchanting Paris en Rose collection with color inspiration by Lisa Eldridge. A rich tapestry of shades inspired by beautiful holiday Parisian lights and crystalline snow flakes. Earthy neutrals dress eyes in natural splendor while bold pinks and roses color lips. I thought I'd talk you through a few of the bits from their new collection and let you know my thoughts. Also, the packaging is sparkly, so do you really need more persuading? 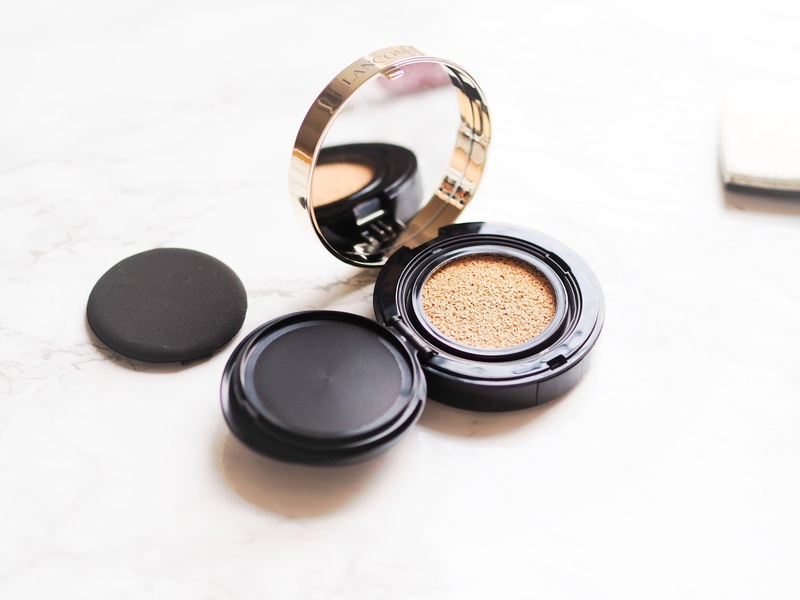 Cushion Highlighter - I was SO excited to see this and immediately tore into it and started searching away. At first I thought I'd read it wrong, and it was actually a foundation because this is some subtle stuff. If you let it catch the light a bit, however, you can see some subtle sheen and the slightest bit of shimmer. Seems pretty Lancôme to me: highlighter but understated and classy. The texture is lovely and I think it'll work very nicely patted in on top of foundation. Petit Trésor Sparkling Color Eye Shadow in 16 Blanc Scintillant - This looks pretty scary in the pan, but rest assured the result is far more subtle. When swatched, this definitely packs some pigment, but it isn't quite as bright white as you'd think. Be that what you're looking for or not, I think this will work really well as a browbone/inner corner highlight. It blends our nicely and the texture is really lovely. Vernis in Love Nail Polish in 361 Paris en Rose - How pretty is this? It's a little early for me to be cracking out the glitter but methinks once November rolls around, I'll be sporting a whole lot of sparkle. If you're a fan of Essie's A Cut Above but can't seem to track it down, then this might be one for you. It's chockablock with pink glitter and looks like a pretty darn lovely top coat for the festive months. Also the packaging is super cute, which is always a plus for me! 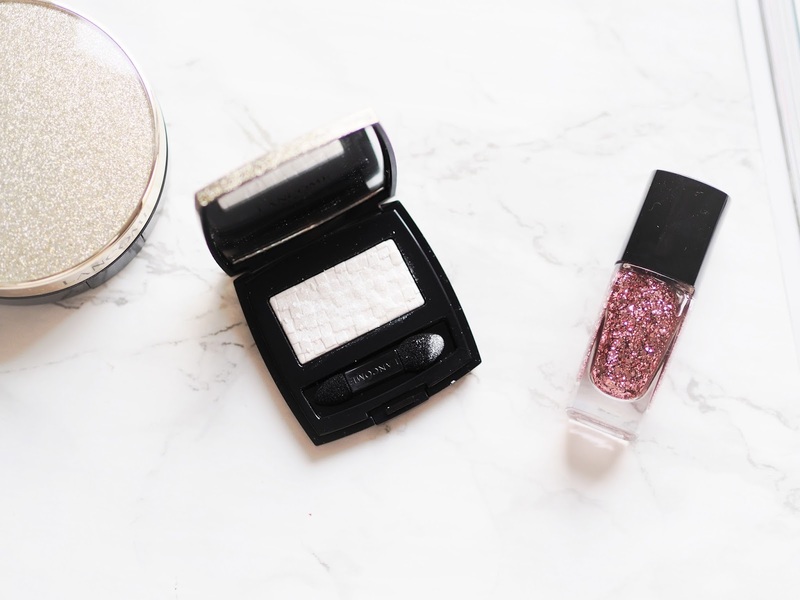 So there we have it, a brief show and tell of some of the Lancôme bits I've been playing with. I know I've said it before, but the packaging really is gorgeous and definitely very seasonally appropriate! 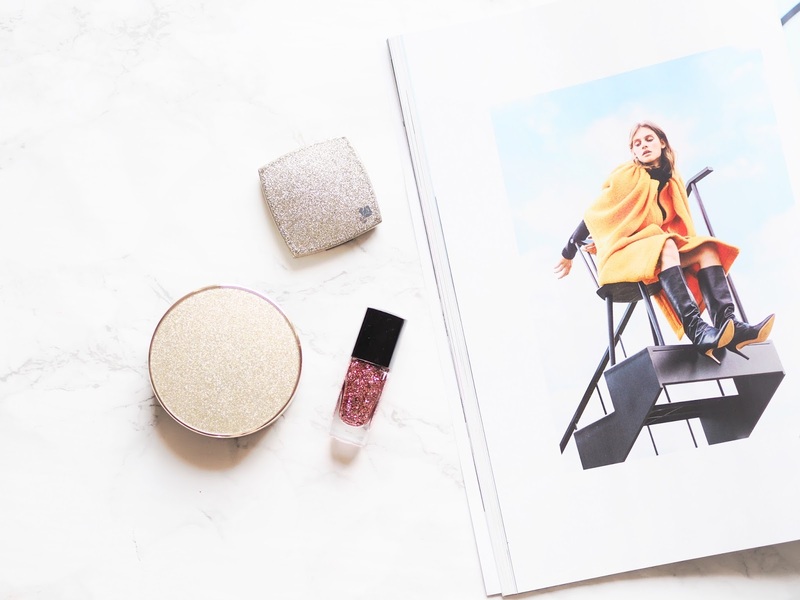 What're some of your favourite products from Lancôme? This post contains PR samples. As always, all opinions are my own. 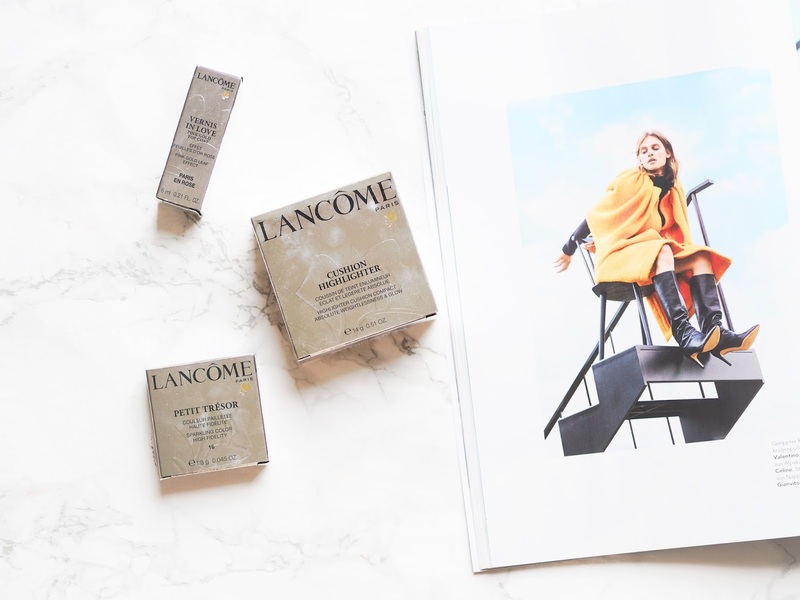 Lancôme has a bit of reputation as a brand for older women but their products are really solid and they're coming out with more interesting things recently! I'm really excited about the new lipsticks that they're coming out with. That nail polish looks absolutely stunning too!